You don't stay in the auto repair business for over 60 years without earning the trust and respect of our loyal Akron customers. Every vehicle that comes into our door for service or repair is treated like it's our own. Our ultimate goal is customer service. 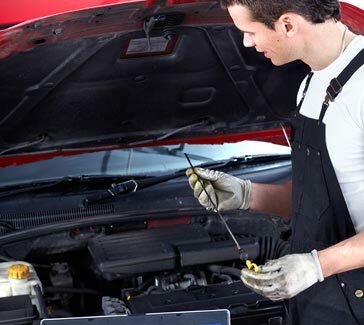 We will throughly inspect your vehicle, correctly diagnose the automotive problem and offer a FREE estimate. We do not perform any repair service until you fully understand what the issue is, the nature of the work that is going to be performed, and the total cost of work. 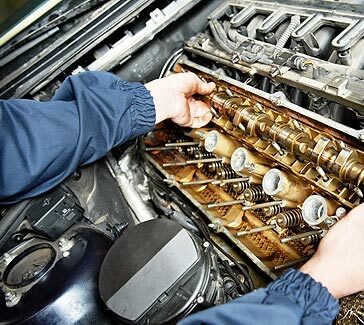 All vehicles need on-going general maintenance routinely performed to keep you going and to help keep small automotive problems from becoming costly automotive problems. The certified mechanics at Richard's Garage will take the time and care when making these repairs and let you know if larger problems are on the horizon. 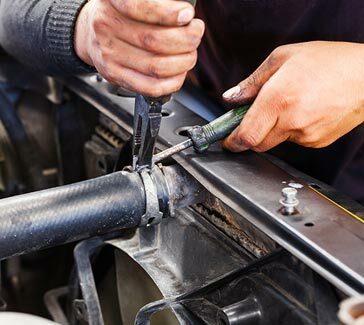 We will perform auto repair services based on the manufacturer's recommended intervals or if you have an immediate need for automotive repair service. The automotive electrical system is a vital component for any modern day car or truck. The vehicle's computer, the starter motor, interior/exterior lighting, and various relays and switches all need the system functioning properly. The mechanics at Richard's Garage know how to diagnose and repair the electrical system problems in your car. A number of problems, that may seem mechanical, can in fact be caused by faulty electrical wires, faulty connections, or low voltage. 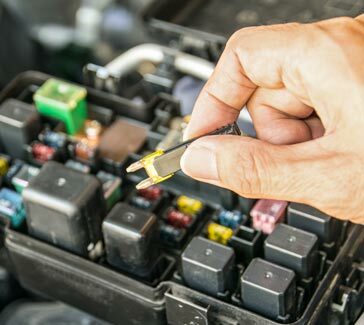 If you are experiencing electrical oddities with your vehicle, contact us for an automotive electrical diagnostics test today. We are Akron's premier four wheel drive (4x4) diagnostics and repair specialist. If you are having problems getting your truck to lock into 4 wheel drive bring it in and we will analyze the issue and can isolate problems in the transmission and transfer case. Then provide you a cost effective solution to get you back on the road. The various brake components wear at different rates so it's important to have your car's braking system inspected regularly to ensure safety. If your anti-lock braking system (ABS) warning light is on, our ASE trained techs will diagnose the trouble codes and evaluate the repairs needed to the ABS system. 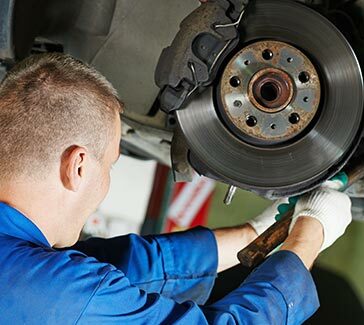 No matter if it's replacing brake pads, turning rotors, or a complete brake job - Richard's Garage will inspect and replace the brake parts that you need. Common problems with your car or truck's cooling system vary from the engine overheating (or staying too cold), to coolant/anti-freeze leaks, to not having heat or defrost inside your vehicle's cabin. The mechanics at Richard's Garage know how to diagnose and repair the cooling system problems in your car. 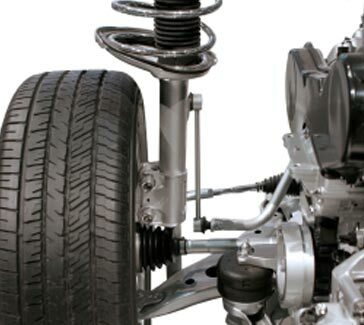 Having your steering and suspension components inspected as part of your vehicle's maintenance routine will help keep your car turning and running smoothly. Contact the expert mechanics at Richard's Garage today. 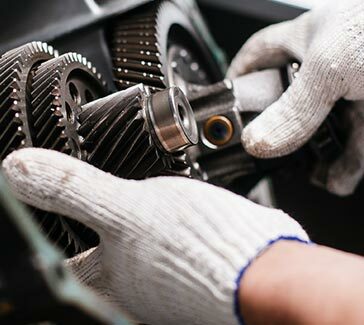 Our expert mechanics service most makes and models of cars and trucks in Akron and surrounding communities. If your check engine light is on or you are experiencing engine problems contact us today to schedule an appointment. 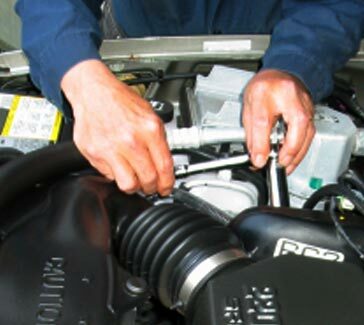 We strive to be Akron's one-stop-shop for transmission and automotive repair. If you're experiencing problems with your car or truck, now is the time to schedule an appointment with our certified auto mechanics.